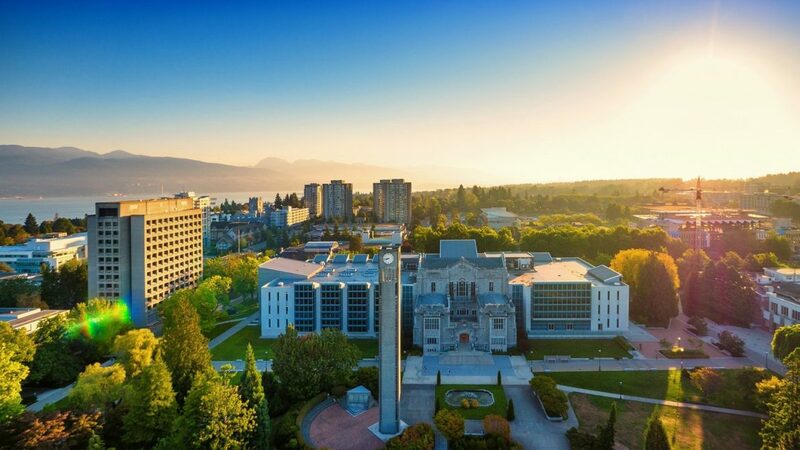 The University of British Columbia is a global centre for research and teaching, consistently ranked among the 40 best universities in the world. With two main campuses in British Columbia and offices in Hong Kong, India and France, UBC is home to 60,000+ students from over 150 countries. UBC’s Vancouver Campus (pictured above) is located on the traditional, ancestral, unceded territory of the Musqueam people. The Musqueam Indian Band and the University of British Columbia have a long history of partnership, strengthened through an historic memorandum of affiliation. UBC’s Okanagan Campus recently renewed a memorandum of understanding with the Okanagan Nation Alliance that reflects mutual recognition of the importance of a long-term relationship between UBC Okanagan and the Indigenous people of the Southern Interior of British Columbia. The First Nations House of Learning provides a point of contact for all Aboriginal communities with the Vancouver campus and leads strategic planning on UBC Aboriginal initiatives across both campuses. The UBC Learning Exchange is an off-campus site and shared community-university space in Vancouver’s Downtown Eastside. Grounded in the idea that universities can and should be more connected to the critical issues facing communities today, the Learning Exchange strives to create environments where people can get to know each other, pursue shared interests, learn from each other and, in doing so, change the world. The Centre for Community Engaged Learning (Vancouver campus) and the Community Service Learning Program (Okanagan campus) collaborate with students, staff, faculty and community partners to work through complex community-based issues, both locally and internationally. The Institute for Community Engaged Research (ICER) (UBC Okanagan) is an academic research centre uniting researchers from a broad range of disciplinary backgrounds. ICER researchers are commited to community-driven research practices, collaborative research design and execution, and respectful, responsible, relevant and reciprocal research relationships that promote equality, equity, and justice. As part of UBC’s Commitment to Sustainability, the entire UBC campus has been transformed into a living laboratory . Through partnerships, findings are applied beyond campus, ensuring UBC acts as an agent of change to address some of society’s most pressing sustainability challenges. 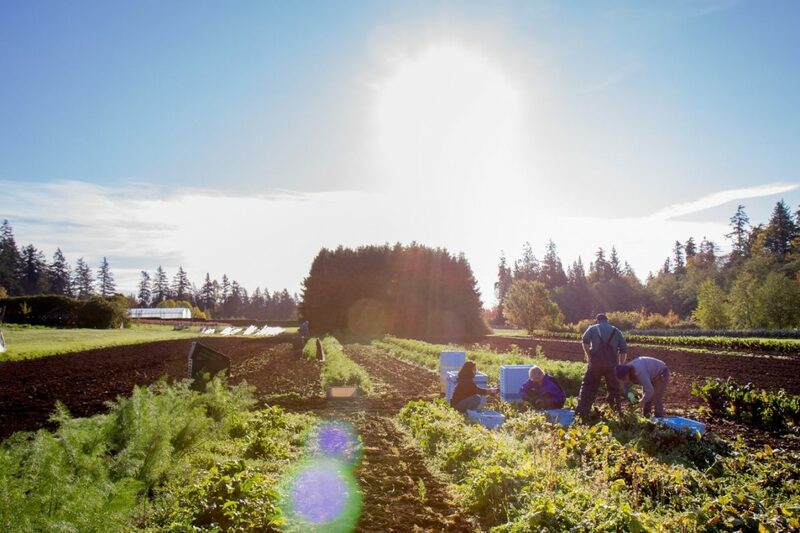 The Centre for Sustainable Food Systems (CSFS), located at UBC Farm (pictured above), is a unique research centre that integrates interdisciplinary academic, community, and food production programs to explore and exemplify healthy and sustainable food systems. The centre is committed to finding solutions to both the local and global challenges facing food systems sustainability and translating solutions to improve personal, community, and environmental health. Indian Residential School History and Dialogue Centre: UBC is currently working towards the development of a Centre in the heart of the Vancouver campus that will address the history and legacy of the Indian residential school system that existed in Canada for more than a century. The Centre will serve as a place for community members and scholars to gather for conversations on cultural memory, the use of history, and collaborative work towards the sustainability of Indigneous communities and more effective communications among different groups. Dadaab Secondary Teacher Education (pictured above): UBC Faculty of Education, in collaboration with York University and three Kenyan institutions, delivers a secondary teacher education diploma program in the Dadaab Refugee Camp. By significantly raising the standard of secondary education at the camp, this important educational and humanitarian endeavor helps improve the life chances of young refugees.